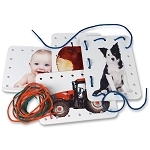 These cards offer lacing and more! 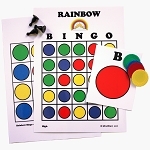 Perfect for seniors who previously enjoyed handiwork or now are appropriate for lower level, hands-on activities. The durable cards have pictures that resonate with people with dementia and that can be used as story or reminiscence starters. 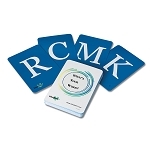 Includes four 5" x 7" Look and Lace cards, laces, and user guide with tips for alternate uses. Card Images: Ice Cream Cone, Hot Air Balloon, Kitten, and Sunflower. Appropriate for all MindStart activity levels. 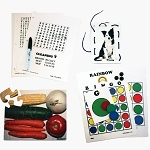 "Good activity for low functioning seniors"
Therapist Tip: Hands on activity products provide cognitive stimulation to patients, such as: eye-hand coordination; sequencing; problem solving; and fine motor finger skills. The repetitive nature of lacing activities is especially good for adults or seniors who are low functioning due to Alzheimer's or other dementia. They are also useful for patients receiving therapy due to stroke or head injury. 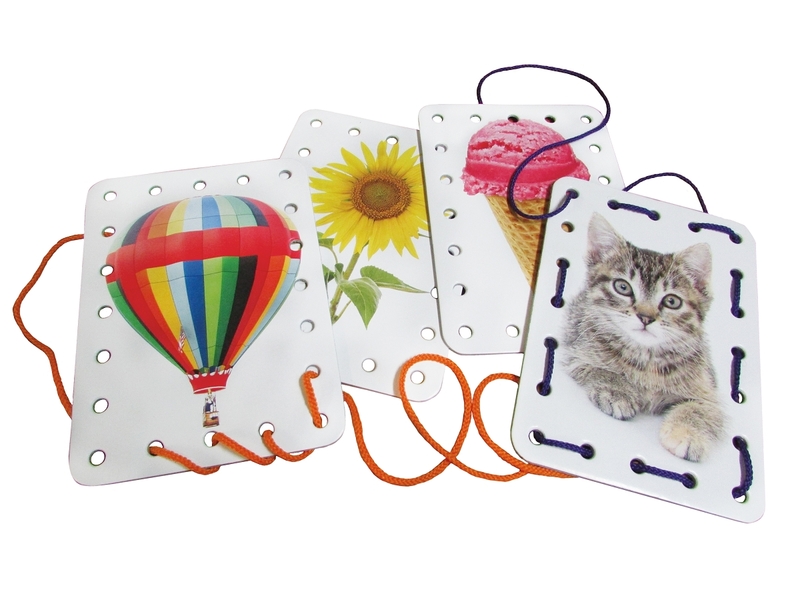 The lacing cards are easily portable and can be used at home or during outings to avoid restlessness or inactivity.